Many guests get extremely excited for the Disney themed bath products found in the guest room when staying at a resort at Walt Disney World. Disney uses H20+ brand of products in the guests rooms and the type and design of the H20+ that are used. The old version was the H20+ Blushing Orange products. These have now been replaced with H20+ Sea Marine and Sea Salt Spa collection. The Blushing Orange product line were in containers that has Mickey heads on the lids of the bottles. These are also gone and there are normal clear lids on the bottles. These products are the exact same products that you will find if you travel on the Disney Cruise Line now. The products and bottles change over the year and seem to be getting less and less “Disney” looking over the year. 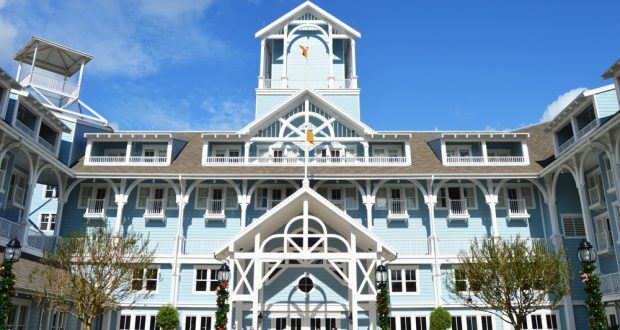 It may be because Disney wants to look more high end in the resorts rather than cutesy. I know many of us Disney junkies prefer products that look at little more “Disney” since that is part of the Disney experience. I’m not sure how I feel about this new change, but maybe Disney will change it up again soon. Has anyone used the new products yet? What did you think about them?